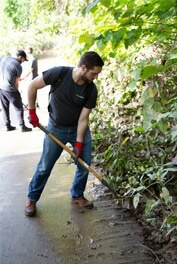 RoadRunner volunteered along the Three Rivers Heritage Trail in Pittsburgh for our annual company-wide retreat. 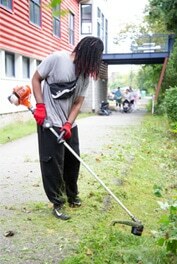 We spent the day with Friends of the Riverfront beautifying the Millvale Riverfront Trail besides the Allegheny River. 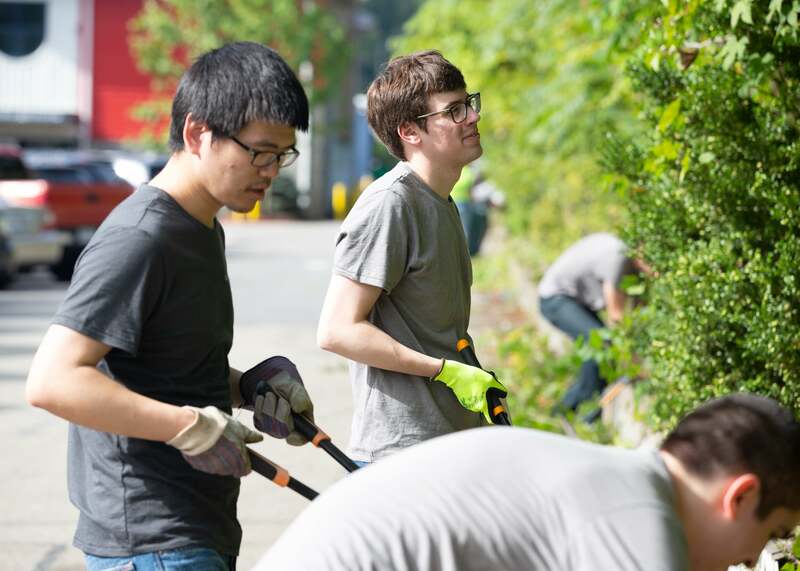 We strongly believe in supporting our local communities, whether it’s by helping businesses to recycle more or by spending the day volunteering. 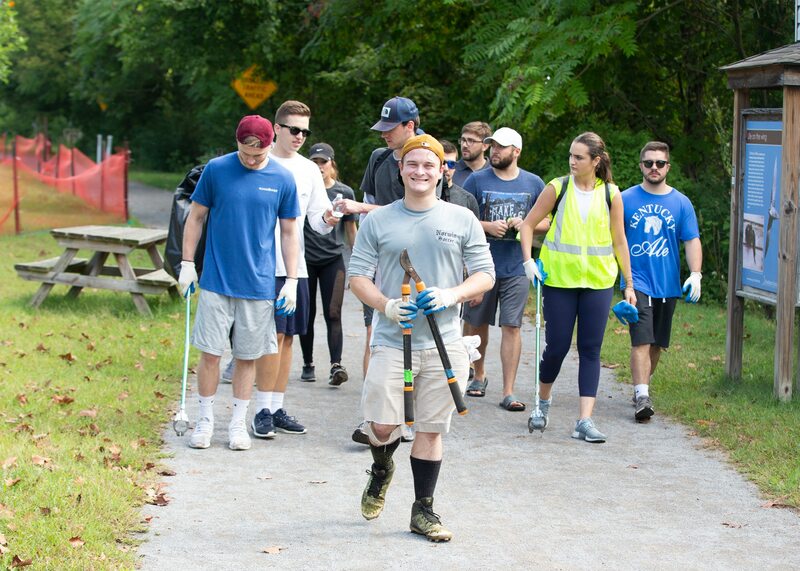 Keep reading to learn more about our experience and why it's important to keep the trails clean! 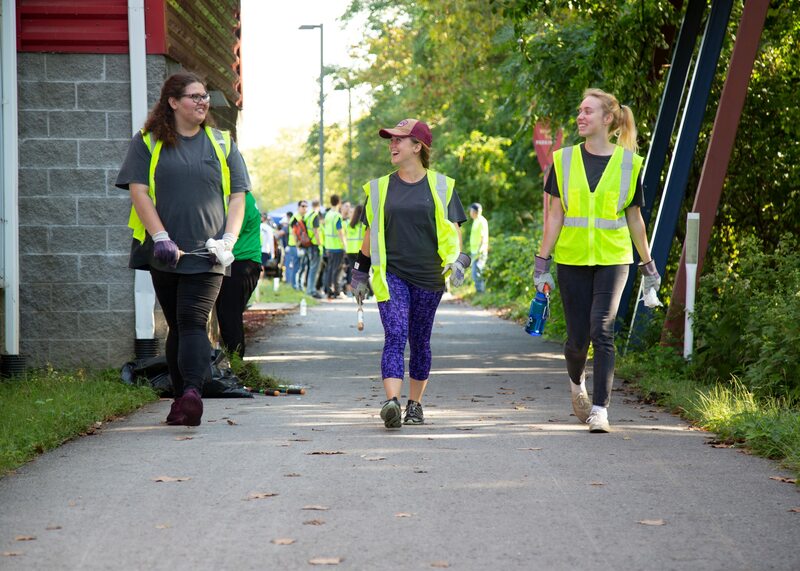 Friends of the Riverfront’s mission is to expand, connect and enhance the Three Rivers Heritage Trail along the banks of the Allegheny, Monongahela, and Ohio rivers. The trail encompasses over 25 miles of urban riverfront and is ideal for running, biking, and hiking. 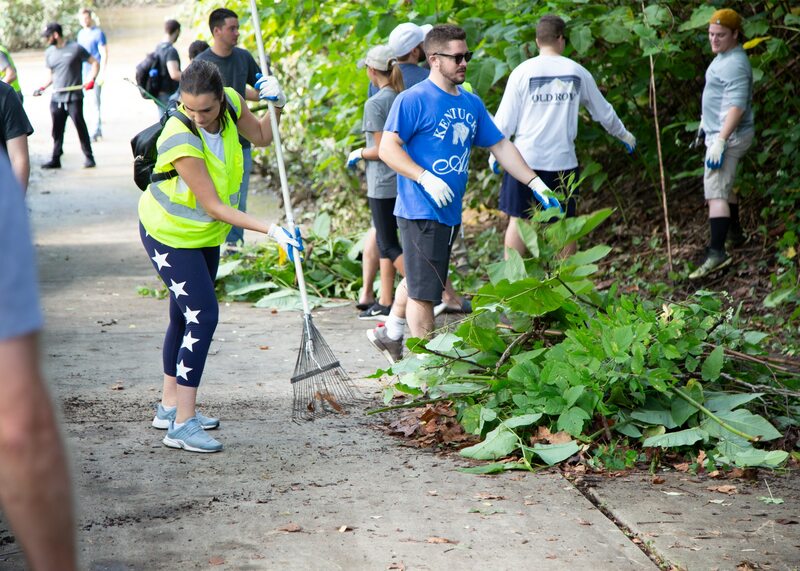 More than half a million people utilize the trails each year, including many RoadRunner's, so we were eager to roll up our sleeves and help make a difference. 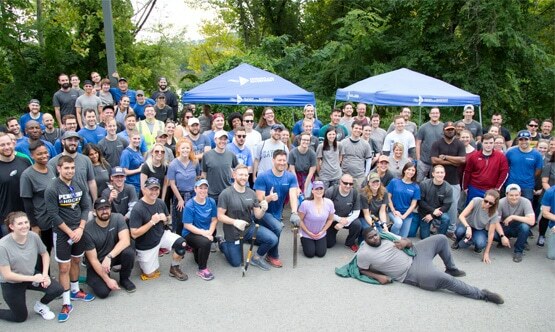 Over 125 RoadRunner employees participated in the event, including those in our Pittsburgh office and remote locations. 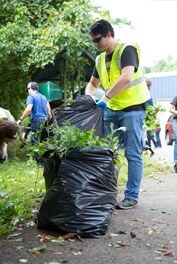 We spent the day picking up litter, weed-wacking, removing invasive species like Japanese Knotweed that harm the ecosystem, and trimming under bushes and trees to keep the trails safe for the public and wildlife. 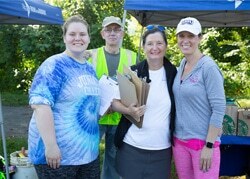 Pictured are some of the Friend of the Riverfront's volunteers who have spent decades preserving the trails. 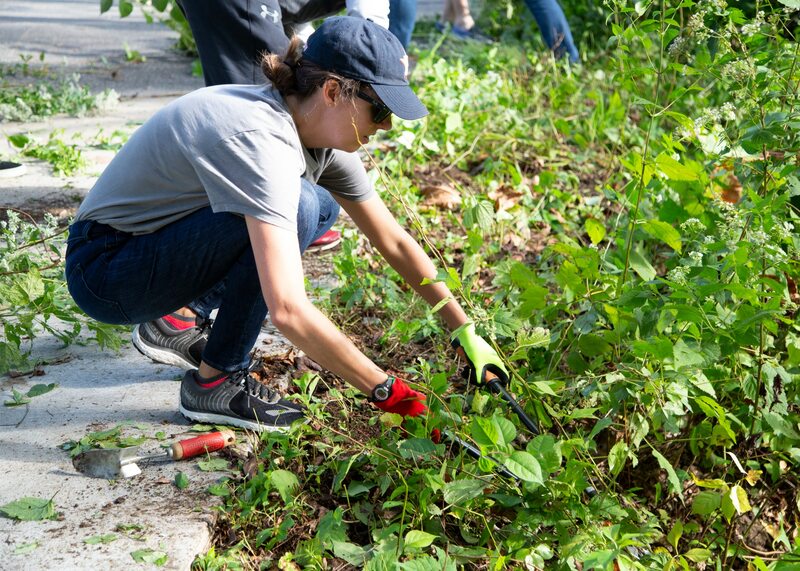 Creating unprecedented value for our communities is one of our company values, so it was important for us to set some time aside and give back. 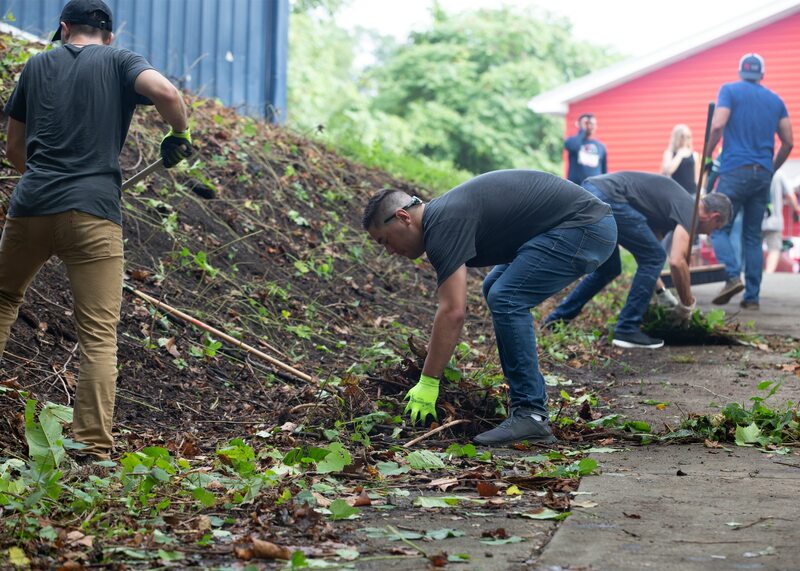 “Spending the afternoon with teammates helping our Pittsburgh community was so rewarding,” says Nicole Filosemi, Creative Design Lead at RoadRunner. 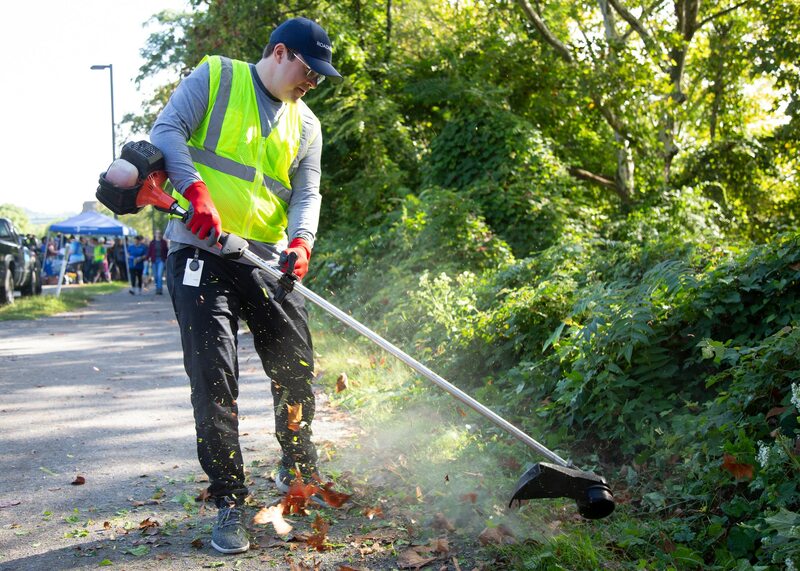 “It was really cool getting to know the people who have dedicated their lives to keeping this portion of the city clean and thriving. 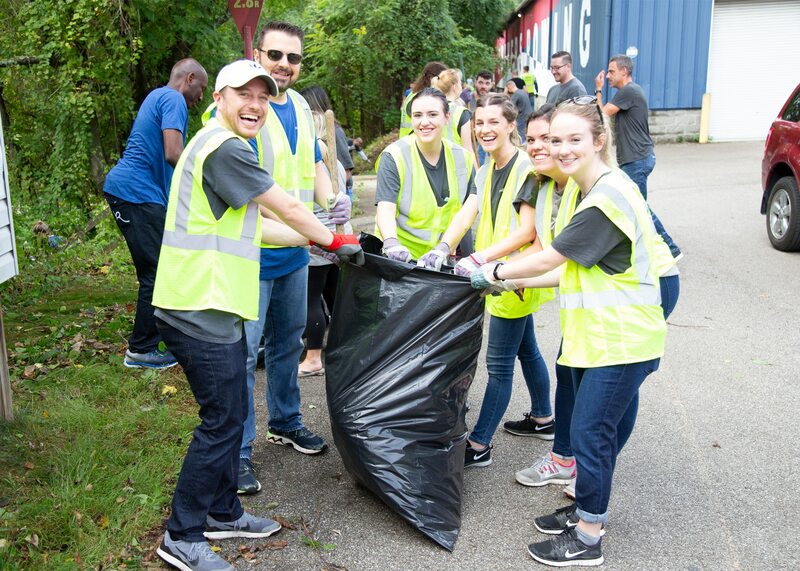 It's amazing what a little bit of team-work and camaraderie can do.” As a whole, RoadRunner was excited about the opportunity to positively impact something that is at the core of everything we do - the environment and our community. 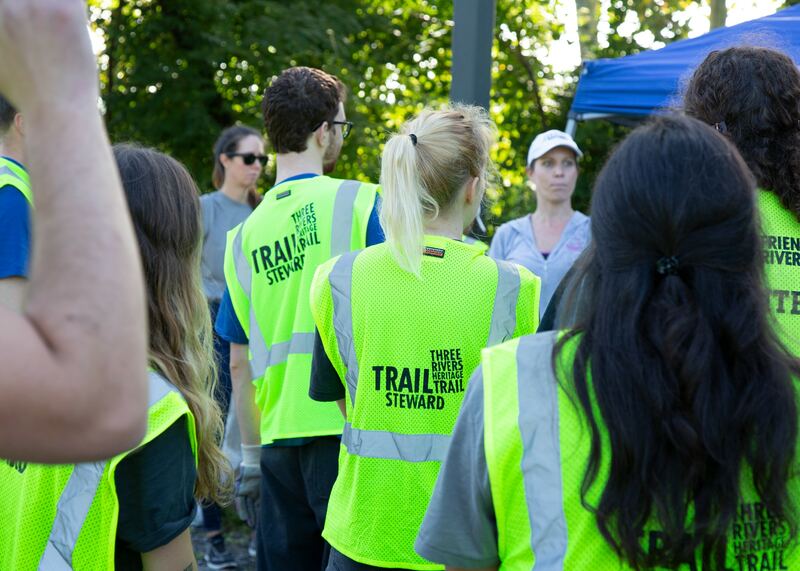 Being on the trails allowed us to see first-hand how important properly managing our waste is. 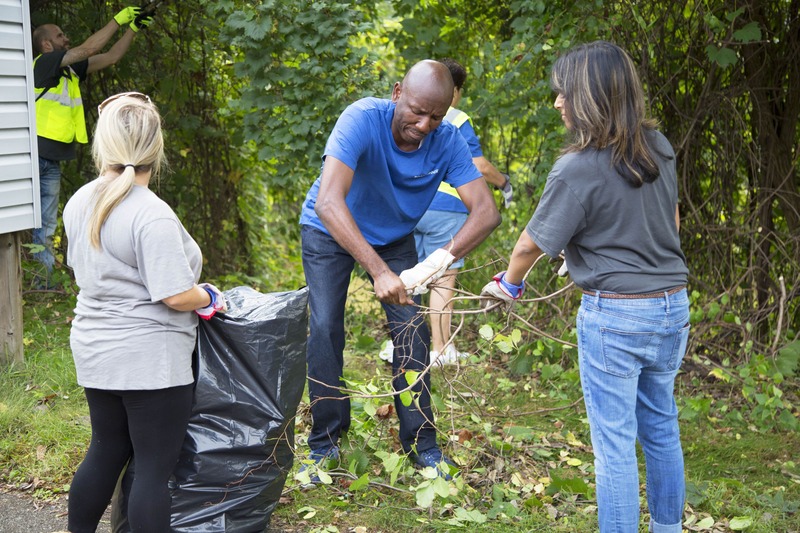 We collected beverage containers, disposable plastics, and food packaging materials. 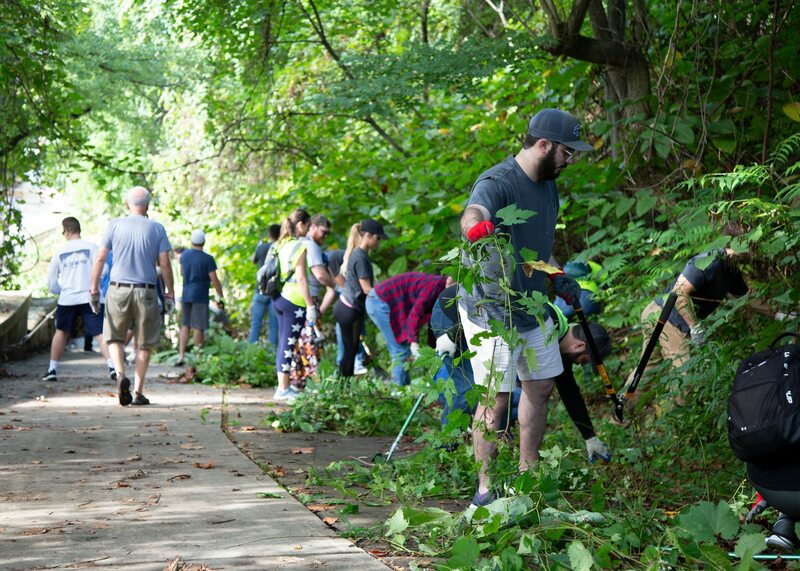 Most of these items aren't just carelessly littered by trail users, but a result of the proximity to the city, neighborhoods, and highways. They make their way onto the trails from overflowing dumpsters, or are carried down stream from city streets. If we limited the use of disposable items and properly managed our recyclables, less waste would accumulate in nature. Thank you for reading! 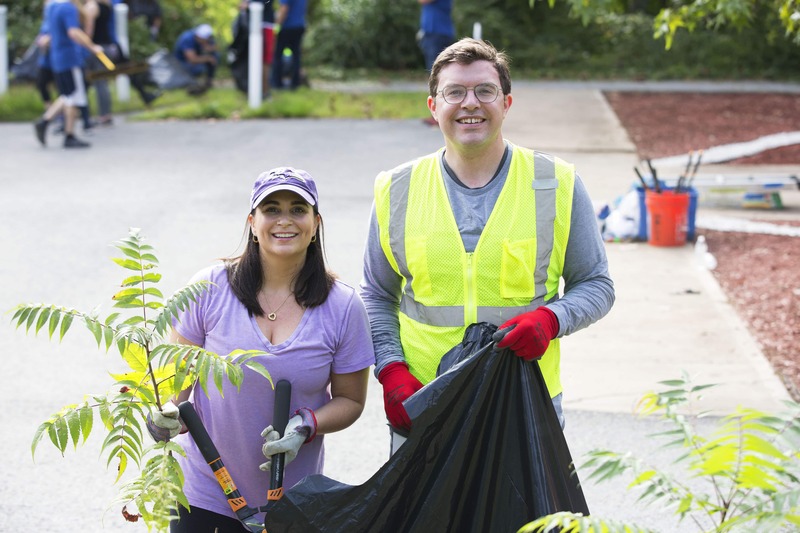 If you're interested in joining a team that is dedicated to making a difference, check out our career opportunities here. 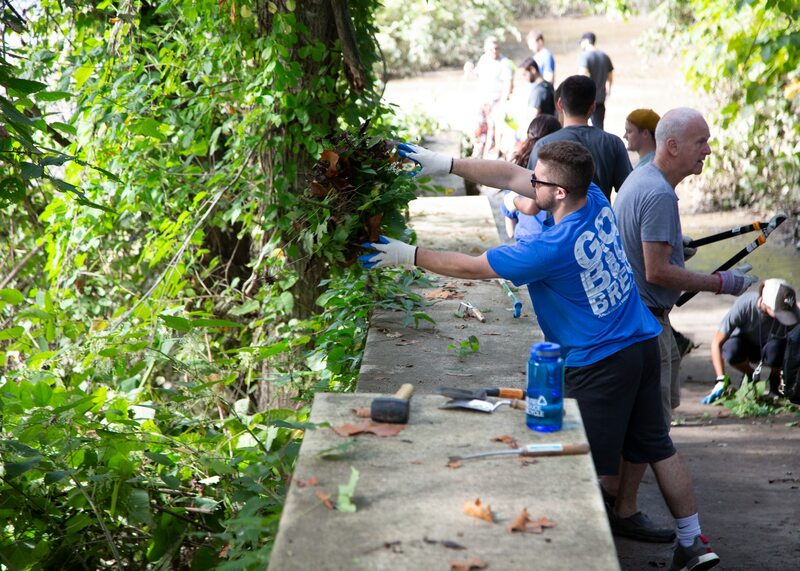 If you would like to learn more about Friends of the Riverfront and how you can get involved, head over to their website and check out some of their volunteer opportunities.